Yesterday I fished Wraysbury Lake for the second time in the past 6 months. The previous visit had proved rather hard on the fishing front with only a single Pike towards double figures coming to the net. Though at the time it didn't really matter as the venue is most picturesque with a great variety of wildlife. I was quite content to just cruise the margins in order to watch the numerous species of waterbirds as well as the odd flock of parakeets creating a rumpus in the treetops. Wraysbury Lake has evolved over the decades, though it became of note during the 70's as a Carp fishing venue. 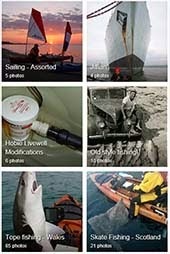 The following twenty years saw many Carp caught between 20-40lbs. There's also some large Tench and a some Perch to be caught, it's a great venue. Recent modernisation has witnessed the creation of a stunning lodge and easy access to the water. I had planned to pack on Friday evening though the heavy rain refused to ease throughout the evening. I was somewhat disappointed so I drowned my sorrows in a bottle of wine, it could have been a lot worse. I was awakened at 0500 on Saturday morning, greeted by the sound of rain lashing against the bedroom window. This wasn't what I'd wanted to hear. Despite another fifteen minutes of hiding beneath the duvet the rain had not eased in the slightest. Fifteen minutes later I was lashing the kayak to the car roof, getting rather damper by the minute. With the car packed there was time for a quick coffee before I hit the road for the one hour trip to Wraysbury. I wasn't first there and the numbers soon increased over a short period. I think we hit the water at around 0900, though I'd had loved to have launched at 0700. There's something special about those really early sessions. 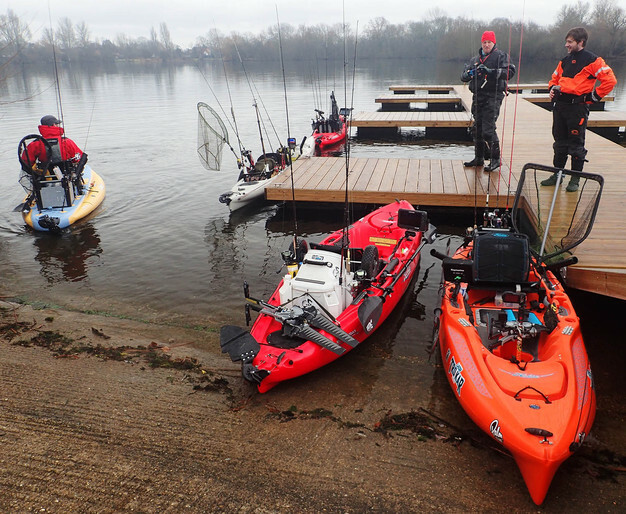 There was quite the collection of Hobie kayaks with Outbacks, Revolutions and Pro Anglers all to be seen, with a lone i11s making up the numbers. 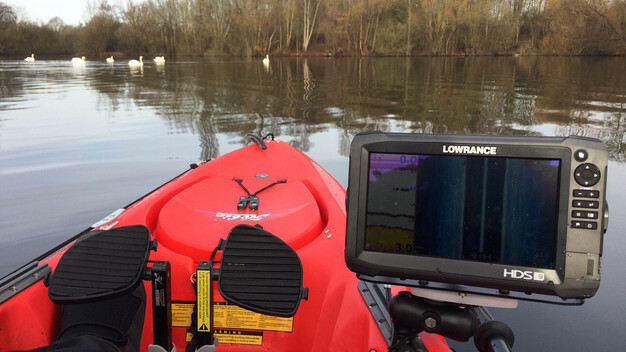 I visited Lowrance UK HQ the other day and was unexpectedly given the latest HDS 9 Carbon and Elite 7 Ti to test out. 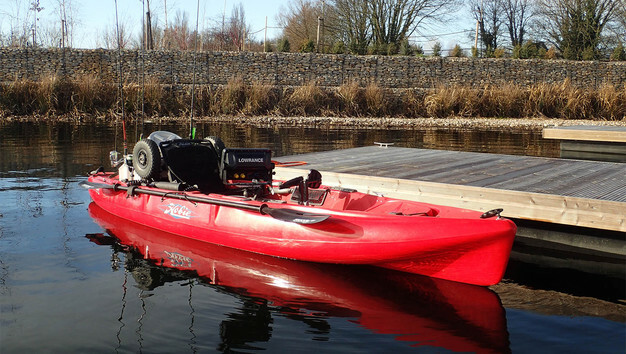 I'm currently using the HDS 7 Gen3 and to be honest I had been wondering if the 9" was going to be just a little too big for my kayak. I was also a little concerned about battery life as I'm already restricted to 6-8 hours with my HDS 7 with a 12ah SLA battery. I've been looking to address battery life for some time now and I'm expecting to upgrade to a larger capacity Lithium Polymer power pack to improve things a little (hopefully a lot in fact). 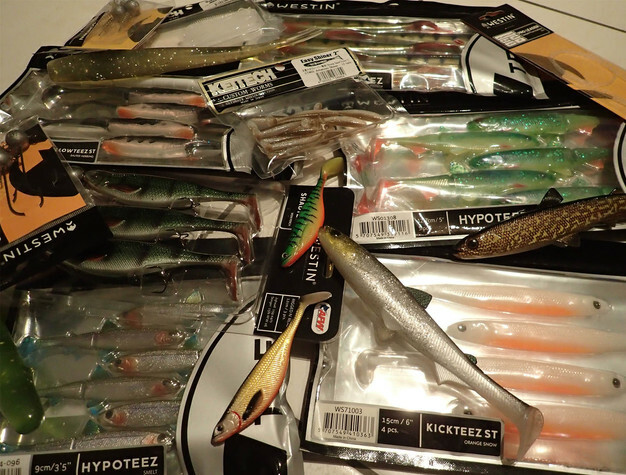 A week ago I received a delivery of Westin lures from Barry Lynch. Westin have created a great reputation for themselves and my friend Daniel van der Post swears by them. 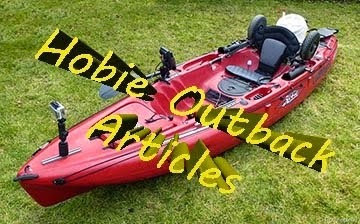 Check out the large selection of lures that Barry Lynch sells at The Lure Box. So I decided to give them a whirl so I started the day with a large ShadTeez, the 'Crazy Deal', mated to a 15g jig head. I actually forgot my new Westin lure box... thankfully Barry was on scene to help me out. Tactics for the day?. Well I planned to troll the margins early on and switch over to casting within an hour or so in order to target some of the smaller bays and numerous areas of sunken trees. I didn't actually have to wait too long at all and within twenty minutes I found myself hooked up into quite a strong fish. Once at the surface it proved to be a very clean fish with quite a large tail! It was a nice fish nudging double figures. It was the usual routine of a quick unhooking and a photo before being released back into the water. Rather worryingly this particular fish went rather limp almost immediately and I found myself taking quite some time to revive it back to strength before it punched back down into the gloom. What I did have after those ten minutes was an ice cold hand!! 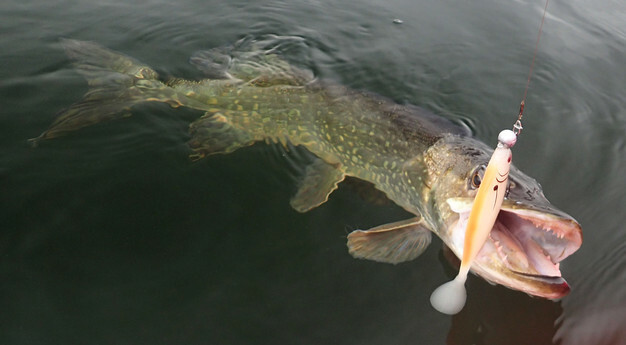 I've not experienced that with a Pike before, they're normally quite resilient. As you can see the Weston ShadTeez did the business, the slow rolling action of the darker lure working a treat in the crystal clear waters of Wraysbury Lake. The ShadTeez did sustain a little tear, though this wasn't a huge concern as it was bitten clean in half fifteen minutes later!. Sadly that was my only one so I switch over to an alternative from my crammed lure boxes. Despite a couple of missed hits it all went rather quiet to be honest. Though as mentioned earlier that isn't of great concern at this particular venue as there's so much to look at around the margins. There's dozens of Coot, many Swans and a few Goosander to name but a few birds. 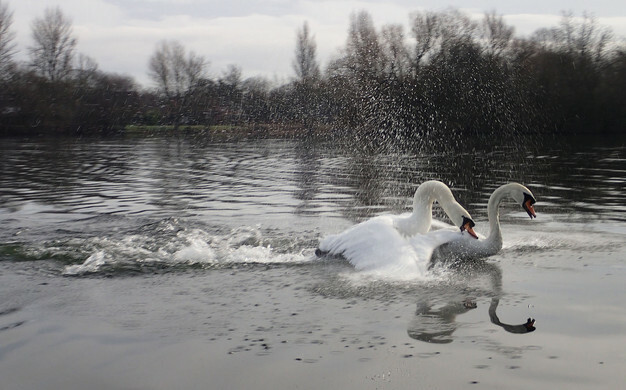 It was mating season for the Swans and they were quite busy! I switched over to casting for an hour or two, nosing around the multitude of small bays that exist around the lake. I wasn't having any luck whatsoever despite trying 2-3 different lures. It's a little weedy in places, though correct lure selection or a suitable retrieve rate minimises the disruption to the fishing. I snagged an object close the the bank so I cruised in to retrieve the lure before moving along the margins, enjoying the view in the shallow water. I passed almost directly over a large Pike lying deep in about four feet of water. It didn't flinch and neither did I. I cruised on for another twenty metres or so before swinging around ninety degrees. I really didn't want to screw this up and the first cast was almost perfect at a metre or so beyond where I recalled seeing the fish. The hook up was instant and it was a very lively fish!. It headed straight into deeper water, staying deep for quite some time. When I finally saw the fish near the surface I realised that forgetting my landing net had really been a serious failing (I forgot a few things yesterday). I maneuvered the fish a little distance around the corner (the joys of a pedal powered kayak) until I saw an angler to ask for some assistance. 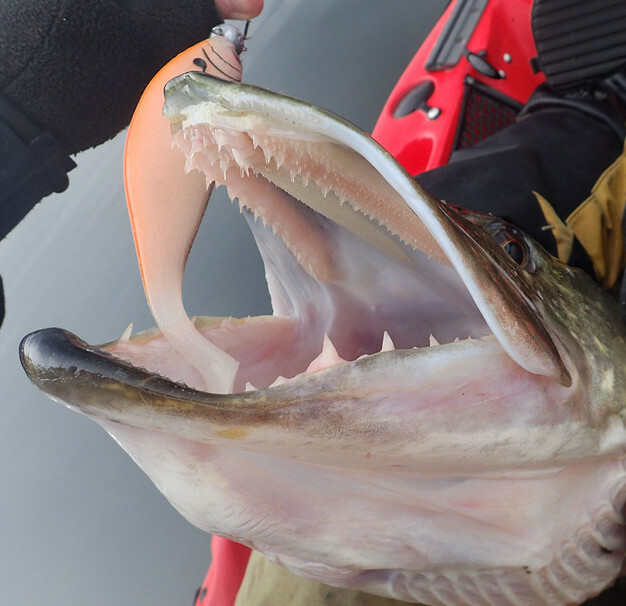 The fish was finally netted and lying in the kayak. The images just don't really do this fish justice. It was deep, wide and full of spawn. I put it in the high teens, though Amos who had kindly passed me his next placed it at perhaps just over 20lb. Either way it was a lovely fish. Here's some video below, thank you Amos for this footage. ​​It must have been my PB Pike for sure, definitely very pleased! I returned to trolling for a while, if for no other reason just to explore the lake a little more. I missed another hit, though I didn't really matter. The HDS 9 Carbon is a new unit from Lowrance and is larger than my current 7" unit. 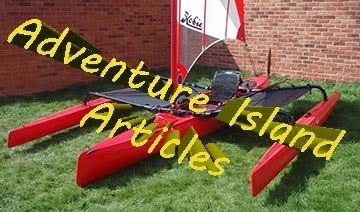 I had been concerned that is was going to be too big for the kayak, though to be honest I had to keep reminding myself that it was the bigger unit, I just really didn't notice. That said, the extra size was noticeable when using the split screen options, it really did come into its own then. It's also faster to react to menu inputs, the higher processing power making its presence felt. The screen clarity and brightness was also considerably improved over my HDS Gen3. 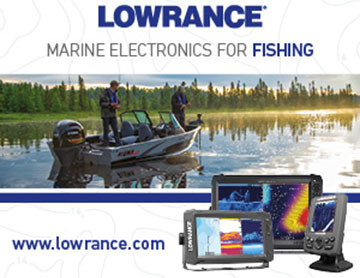 Lowrance are introducing live mapping very soon and I can't wait to try it out. 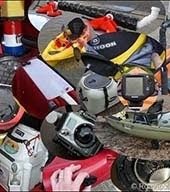 It's interesting to see just how effective modern sonar technology has become. 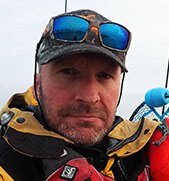 When using StructureScan (side imaging) I often use it in split screen mode alongside the traditional broadband sonar that's been available to kayak fishers for many years. 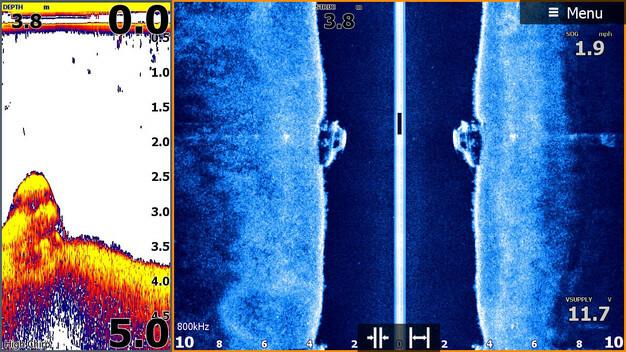 Structure appeared as blobs on earlier sonar, though with the development of Down Imaging and Side Imaging the detail of structure has been taken to a totally new level. Below is a screenshot I took whilst passing over a rather small vehicle (toy car?) and the comparison of Broadband on the left and StructureScan on the right is quite mind blowing. StructureScan would of course picked up that structure if well off to either side of the kayak, whereas the traditional Broadband sonar would only pick it up when approximately beneath the kayak. I managed to pick up my third Pike of the session, a small fish of 3-4lbs. I was a little disappointed that I'd not managed to locate any Perch, I didn't even spot a potential shoal worthy of note. Though there were plenty of Carp on the fish finder and these could be visually confirmed in the shallower areas before the sun rose higher into the sky making visibility more difficult. That pretty much wrapped up my session for the day. There'd been quite a few Pike caught throughout the day with Martin taking at least three to dead bait that I know of. 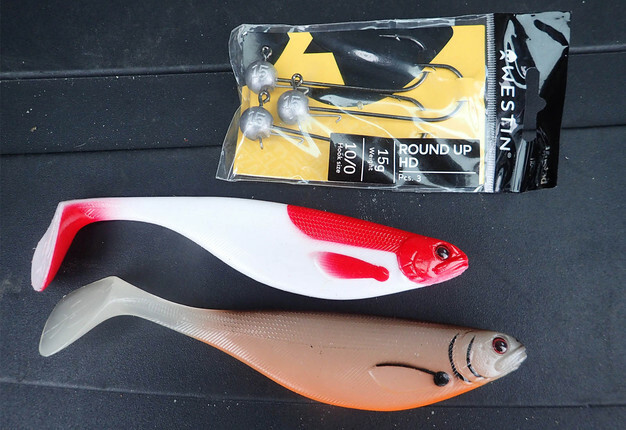 I'd really like to learn more about dead baiting for Pike, it's something that I have very little experience doing. 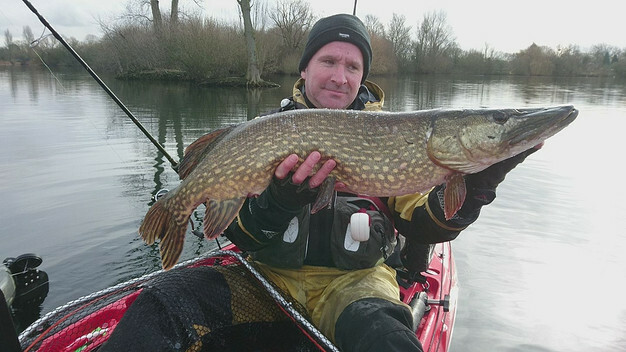 Most of the anglers caught a Pike, so as a group it'd been a very successful session. So where to next?, well there's still a chance of Cod so I'm hoping that I can squeeze a trip in down onto the Bristol Channel before it's too late.. watch this space.